Mitsubishi is having a rough go of things in the US market so many people expect that some changes will be made. Rumors continue to swirl about the end of production for the most well known Mitsubishi models like the Eclipse and Galant, both of which are currently built at the Normal plant. The significance of this plant (once known as the Diamond Star Motors facility that produced the turbocharged, all wheel drive Eagle Talon, Plymouth Laser and Mitsubishi Eclipse) is that it is the only Japanese automotive plant in the US that operates with the auto workers union. As part of today’s announcement, Mitsubishi had a ceremony with plant President Shinichi Kurihara, Illinois Governor Patrick Quinn, and UAW International President Bob King on hand to celebrate the arrival of the Outlander Sport – even though it won’t actually begin until next year. Considering Mitsubishi’s difficulty in selling vehicles in the US market, it makes good sense to build vehicles here and lower the cost, thus helping the company make more money off of each vehicle sold. 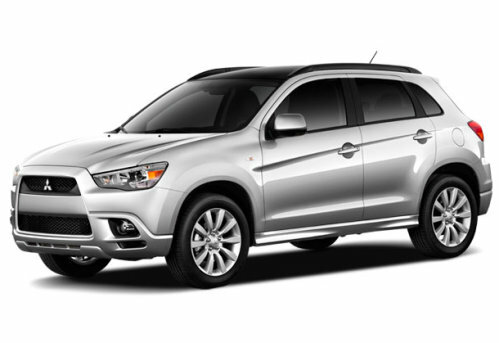 Many still expect the Eclipse and Galant to be gone soon and considering that the Outlander Sport is built on the same chassis as the larger Outlander and sporty Lancer (and Evolution), there is a good chance that all of those vehicles could be built on US soil by Union Auto Workers within the next few years. If nothing else, Mitsubishi moving production to the US and going through the retooling efforts to make this change shows dedication to their place in the US market while rumors of “exit strategies” continue to float around the internet. Mitsubishi To Offer Infiniti M Based Sedan In US?